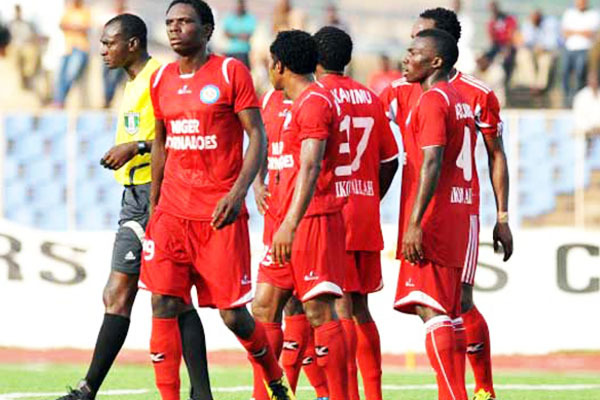 The game was abandoned on Sunday due to heavy rain with IfeanyiUbah leading 1-0 thanks to King Osanga’s 40th minute goal. 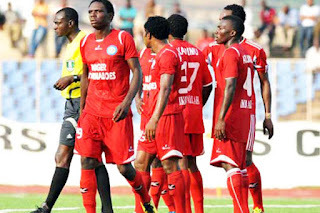 In the replay, Ibrahim Babawo equalised for Niger Tornadoes with three minutes left in the game. And in the 92nd minute, Wilfred Ammeh scored from the penalty spot to give Tornadoes the win after Babawo was tripped inside the box by IfeanyiUbah keeper Drissa Bamba.